Today, I asked on Twitter if anyone cared that I was making meatballs for dinner. Surprisingly, many people did care. And they wanted the recipe, too. These are the meatballs my friend Valeria Del Gatto makes. In my book, Outside the Box, I describe dinner at her house. These are THOSE meatballs. Those above are the raw meatballs in the pan. Some grated parmesan. I have no idea how much, really – maybe ¼ of a cup, maybe a little more .. 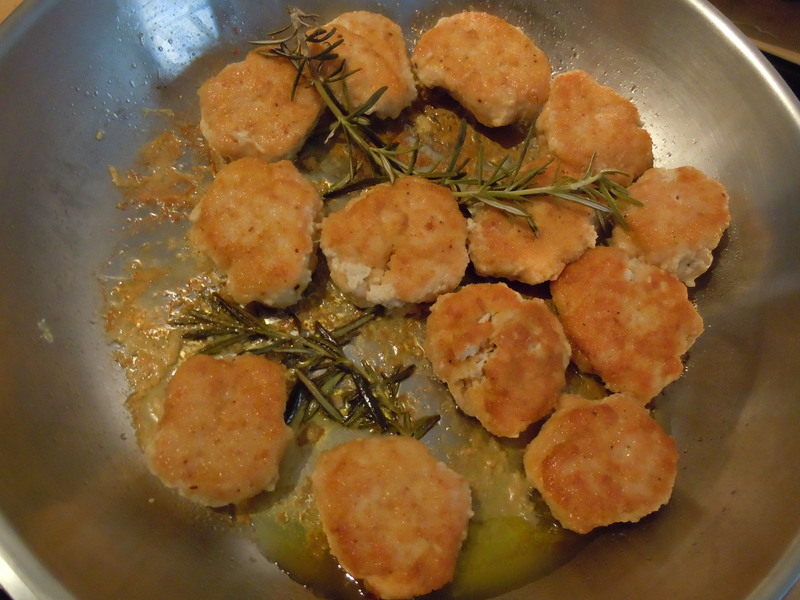 Mix everything except the breadcrumbs, olive oil and rosemary together and then try to form balls. The chicken with the egg in it is really messy, but don’t worry. Roll the balls in breadcrumbs and place them in a large frying pan. 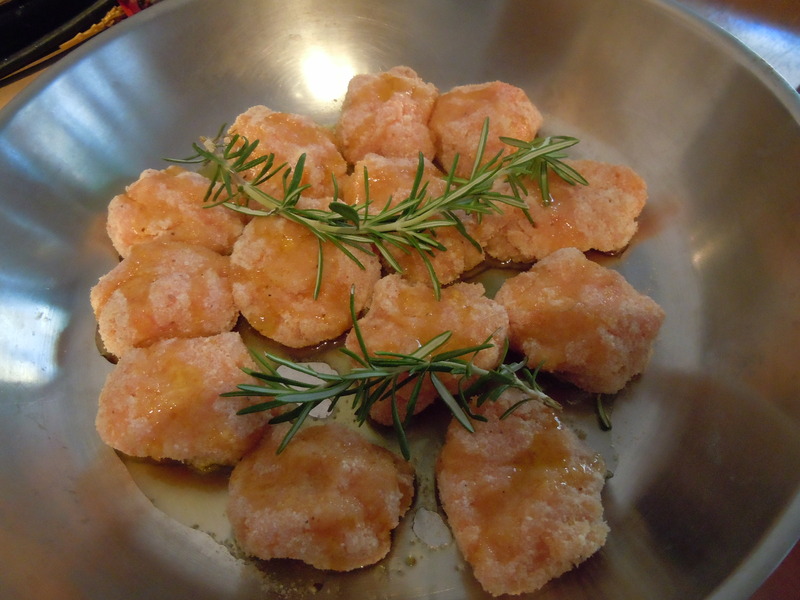 Drizzle them in olive oil and place a few rosemary sprigs among the meatballs. Cover and cook on medium heat for about five minutes, then turn the meatballs and let them cook another five to ten minutes on the other side. Just cut one open to see if they are cooked through. You don’t want to overcook them, but then you really don’t want raw chicken either. Mmm, sounds good, and so easy! I’ll be trying these soon. I loved reading about this meal in your book. Great to have the recipe.